Tomball, Texas Criminal Defense Attorneys James Sullivan and Associates have handled over 4000 cases and have a collective 50 years experience defending adults and juveniles in criminal and juvenile courts in Harris County and throughout the State of Texas. Call Harris County Criminal Lawyer James Sullivan at (281) 546-6428 to discuss your situation. Tomball, Texas Criminal Defense Lawyers James Sullivan and Associates represent clients charged with crimes in State courts in Houston, Galveston, Houston, Houston, Texas, Beaumont, Austin, San Antonio, Waco, Dallas, Ft. Worth, Tyler, Sherman, Del Rio, Corpus Christi, Brownsville, Mc Allen, El Paso, Hempstead, Houston, Texas and all counties in Texas. The law office of James Sullivan and Associates is located near FM 1960 in northwest Houston, Texas; however, Attorney James Sullivan appears in all criminal and juvenile courts in Texas. Harris County Criminal Defense Attorneys James Sullivan and Associates have over 50 years collective experience representing persons accused of committing criminal violations of State law. Together, they have been the attorneys of record in over 4000 cases and are anticipating their 1000th case dismissal. Tomball, Texas Criminal Attorneys James Sullivan and Associates treat every person they represent as if they were a friend and neighbor. When you call, likely an Attorney will answer your call themselves. You will be dealing with Attorneys, not secretaries, assistants, or answering machines. 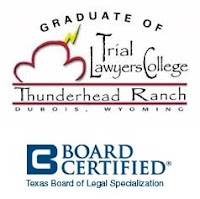 Tomball, Texas Lawyer James Sullivan is Board Certified in Juvenile Law by the State of Texas. Juvenile Law is different than criminal law. Note: Among the more than 83,000 active lawyers in Texas, there are only 38 lawyers Board Certified in Juvenile Law in private practice. The other 27 such lawyers work for the government. If they can be of any assistance, or you just want to talk about your situation, you can call Attorney James Sullivan and Associates at (281) 546-6428.